China is the largest smartphone market worldwide. With approximately 520 million smartphone users in Mainland China, the mobile app business is currently booming. In 2014, Chinese mobile phone users downloaded nearly 185 billion apps, it represents nearly 59% of all app downloads worldwide. If you want to compare, the mobile phone users in the United States transferred only 8% of all the global app downloads. 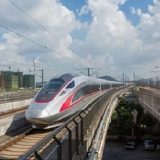 In addition of having a growing mobile app market, China has also a quiet unique market. All the different popular Western app services like Twitter or Facebook have been blocked in the Chinese territory for five years from now by the government. Since the end of 2014, all the Google services, including Gmail, Google Search, Google Maps and even the Google Play, have been shutting down. The absence of these major Western app services has created a distinctive Chinese app environment, where alternative brands such as Baidu, Weibo or Weixin dominate the market. 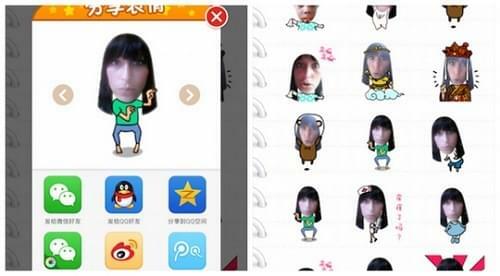 Weixin (微信), also known as WeChat, is China’s most popular smartphone application. It was launched in 2011 by Tencent. The power of this app lies in its multifunctionality; Weixin is Whatsapp, Twitter, Facebook, Paypal, Shazam, Viber and Uber, all combined into one app. It therefore is the essential app for everyday life. 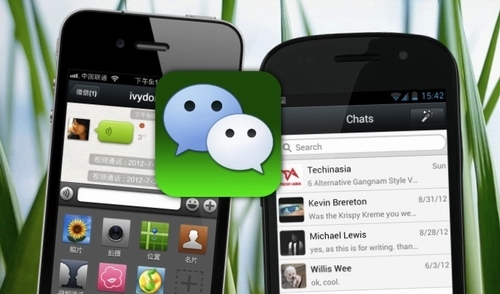 Through Wechat’s chat functions, you can have individual conversations with your friend or make a group chat. There is a large variety of emoji’s to choose from to express your mood. The ‘moments’ feature can be compared to the timeline of Facebook, where you can follow what your friends are doing and comment on their pictures. And through ‘subscription accounts’ it is possible to follow your favorite companies or media sources, from CCTV to McDonalds. Apart for a great social media platform, Wechat is also an important way for Chinese media and businesses to stay in touch with their audiences. Wechat is an application free and available for iOs and Android users, from iTunes to Google Play or any other app store, both in Chinese and English versions. Sina Weibo (新浪微博) is China’s biggest social media platform, comparable to Twitter, launched in August 2009. Recently, many different media have stated that Weibo is declining as a result from the new rules that required users to register with their real names. This is because of the recent events and the media stating the million of social media posts that were fakes. More people have switched from Weibo to Wechat, media argued, and Weibo would soon be on the way out as online free speech becomes more and more limited. Although Weibo is not the platform it used to be, it is still very much alive. The private dimension of Weibo (talking amongst friends) has made room for Wechat, where P2P is the most important form of interaction. Sina Weibo is now a public social media platform and China’s most dominant source of news content, where netizens discuss trending topics of the day. Weibo has 600 million users; around 175 million of them are monthly active users. 70% of Weibo daily traffic comes through its mobile app. Taobao Marketplace is one of China’s largest online shopping platforms, comparable to Ebay or Amazon. 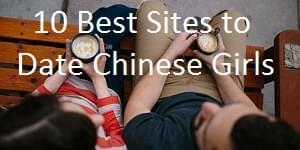 It was launched in 2003 by China’s Alibaba Group. Taobao is a place where small businesses and individuals can sell products to consumers – anything from clothes to medicine. 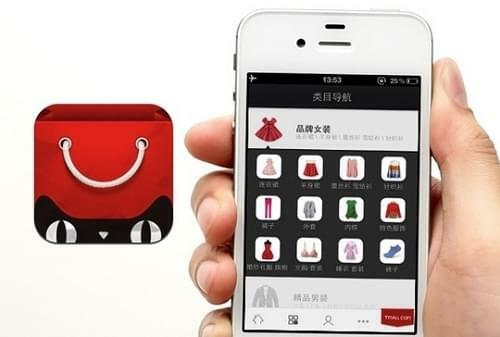 Taobao has 8.4 million annual active merchants, many of whom mainly run their stores through the Taobao app. 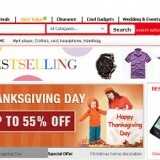 Taobao will have more functions in the future besides serving as a shopping platform. Alipay and Sina Weibo launched a new service last week where mobile users can log in through Taobao, Alipay or Weibo to arrange their public service issues, like scheduling marriage registration or paying a traffic fine. 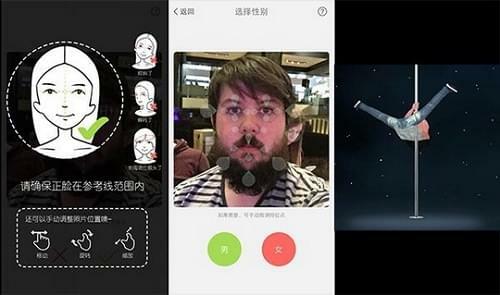 Photoapp Pitu (天天P图) is all the rage this year. Never before did a free photo app come with so many possibilities. 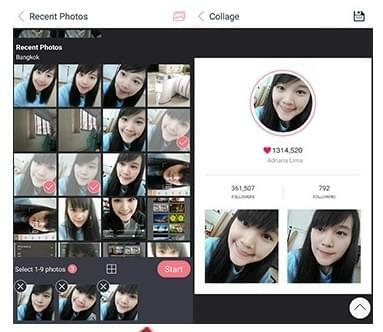 Like the Meitu app (美图), which is also pretty good, Pitu is a camera and retouch app that offers a myriad of different filters to make you look your prettiest. But there is much more: Pitu also allows you to play dress up with different make-up styles that look so real that is easy to trick your friends into thinking you actually did your make-up like Lady Gaga or a Peking Opera star. Besides the pre-made make-up sets (under “cosplay”), you can also apply your own make-up and decide on colors of eye-shadow, hair and lips. The app has many different templates to create collages. The ‘cut-out’ section lets you use your face in different backgrounds. Trust us, this is the most entertaining photo app of 2015. You can also take a normal picture of your friends and later turn them into proper dragqueens (sorry!). MyIdol (小偶) is arguably one of the most fun apps around at this moment. The app allows users to take a picture of their face and then create their own 3D figure with a wide selection of different eye-colors, hairstyles, clothing and skin tones. You can then let your figure do several things, such as singing a popular song, wishing everybody a happy new year, playing the drums or falling asleep. Although the app has been around for some time, it has been a rage lately – especially because the effects of the app are so well done. If you choose the right colors for skin, hair and eyes, combined with the right hair and outfit, it is almost as if you are standing there singing yourself. Dragonfly or Qingting FM (蜻蜓FM) is a top-ranking radio app that offers hundreds of channels from across China, from national to local levels. The app lets users choose from its most popular channels or by category: music, news, audiobooks, comedy, entertainment, opera, etc. A perfect app for anyone who wants to discover China’s most popular music, or for those who want to practice their Chinese. 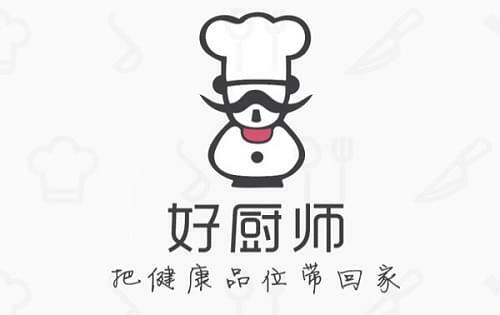 The luxury of restaurant food in the comfort of one’s own home – this is what the new Chinese app ‘Good Chef’ (好厨师) offers. ‘Good Chef’ allows users to search for specialized cooks based on their location and food preference, and hire them to come and cook in their own home kitchen. As online services like Uber are rapidly gaining popularity all over China, the app’s home cooking service has become a hot business. 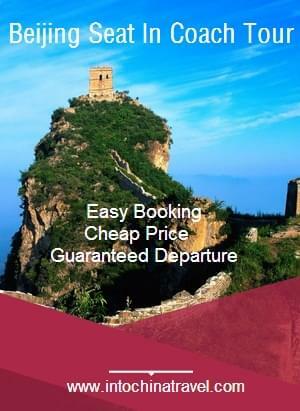 ‘Good Chef’ was launched in September 2014 and operates in Beijing, Shanghai and Hangzhou. Its formula is simple; users can indicate what kind of food they like (Hunan cuisine, Sichuan style, Shandong food, etc.) and browse the different chefs that can be hired to cook for them in their area. Afterwards, users can rate the chefs with one to five stars and leave a comment about their experience. The system generates a list of top-rated chefs. As Chinese website Wabei reports, over 20,000 people ordered a chef to cook in their home during the Chinese New Year period. The company currently employs 320 chefs on full-time basis. 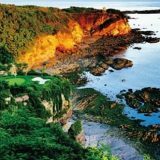 Founder Xu Zhiyan (徐志岩) has revealed that the start-up company recently raised 5 million USD from investors. The money will be used to expand to more cities in China and invest in product development. The expression factory (表情工厂) has been on the market for quite some time but has remained relatively unknown. The app lets users take a picture of their face, and then use it to create hundreds of different emoticons – from Japanese sumo wrestlers to naughty nurse. The emoticons can be exported to QQ, Weibo or Wechat, where they will be saved to use every time you feel like sending someone your personalised kisses or farts.